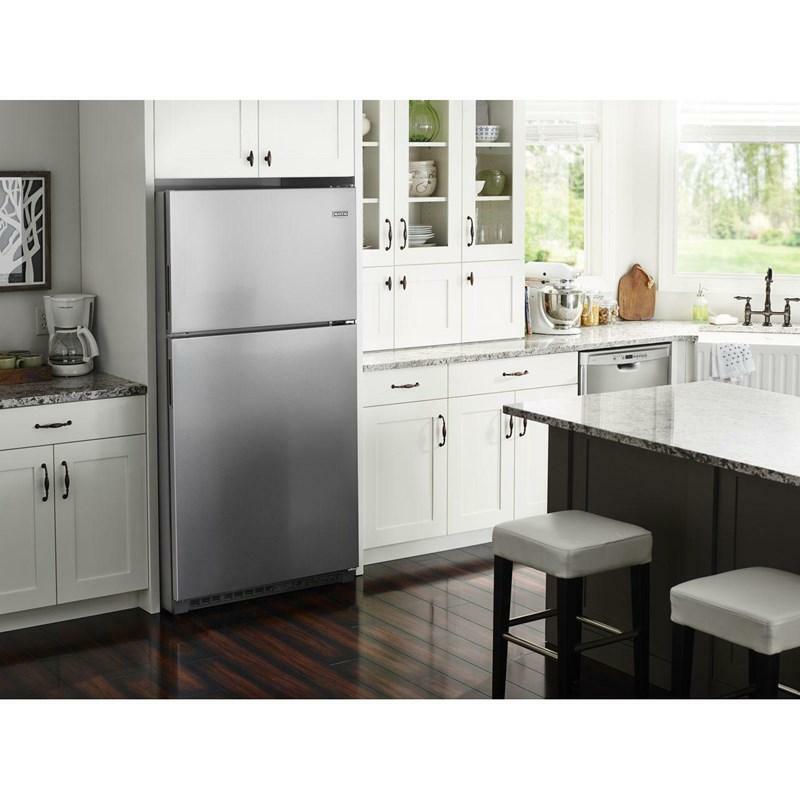 Maytag 33" wide top-freezer refrigerator with PowerCold® featuring BrightSeries™ LED lighting, reversible door and 2 split-width humidity-controlled drawers. 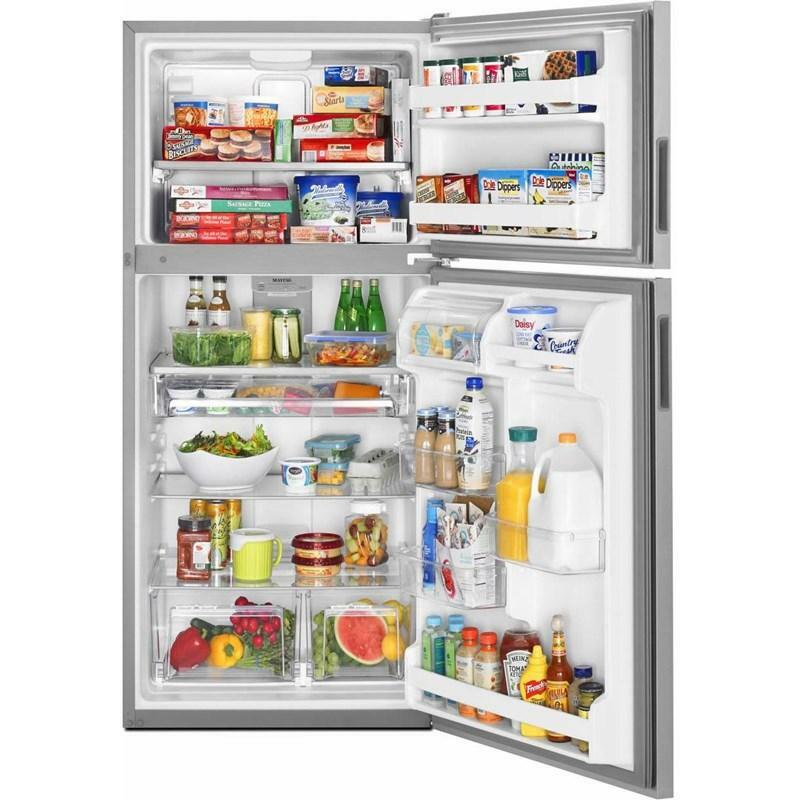 Total 20.5 cu. ft. / 0.58 cu. 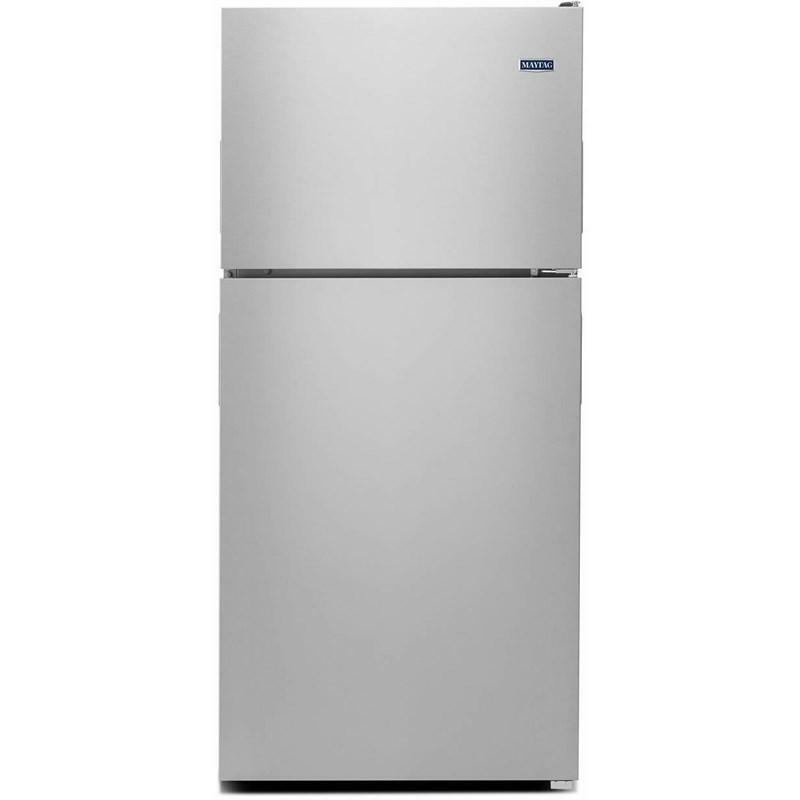 m.
Refrigerator 14.42 cu. ft. / 0.41 cu. 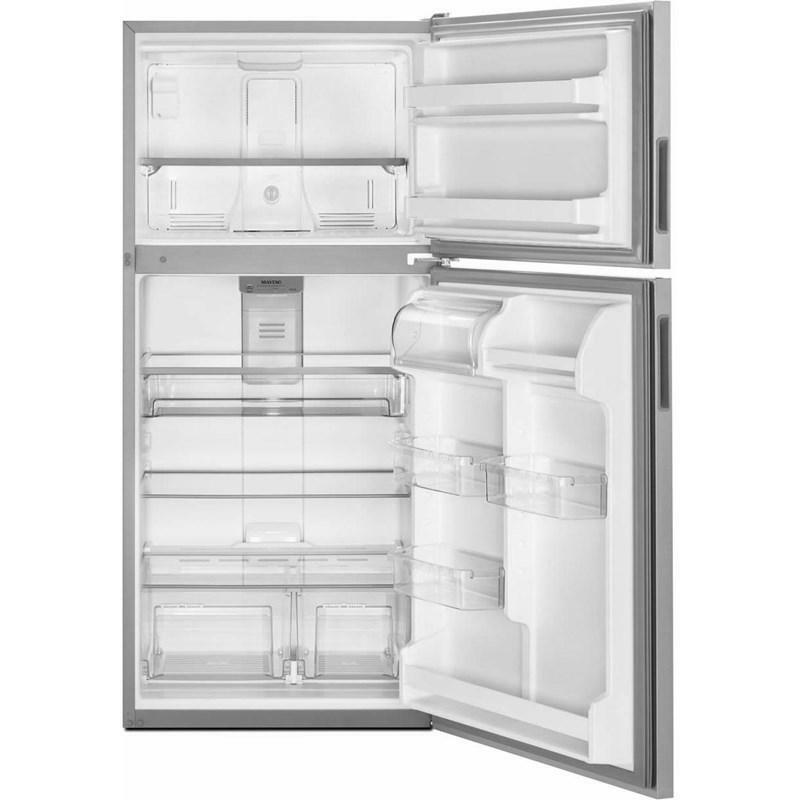 m.
Freezer 6.09 cu. ft. / 0.17 cu. m.
• Depth Excluding Doors: 28 1/2"
• Depth Closed Excluding Handles: 30 5/8"